Standing out in a crowd is often a difficult task, especially when you've got a drab haircut. 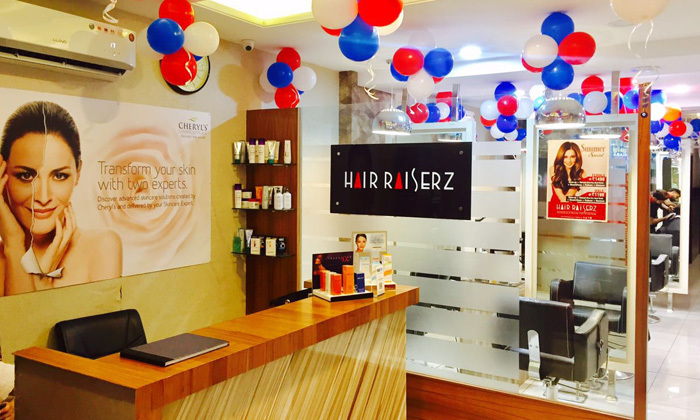 Turn heads and give yourself an ego boost with a trip to Hair Raiserz. It provides professional services for hair, nails, skin and beauty care. With its wide range of services and use of quality products, it is committed to offering the customers total satisfaction. The salon features a fun and lively ambiance and is led by a team of experienced stylists who are genial and friendly.